What are the most common thing kids say "No" to? 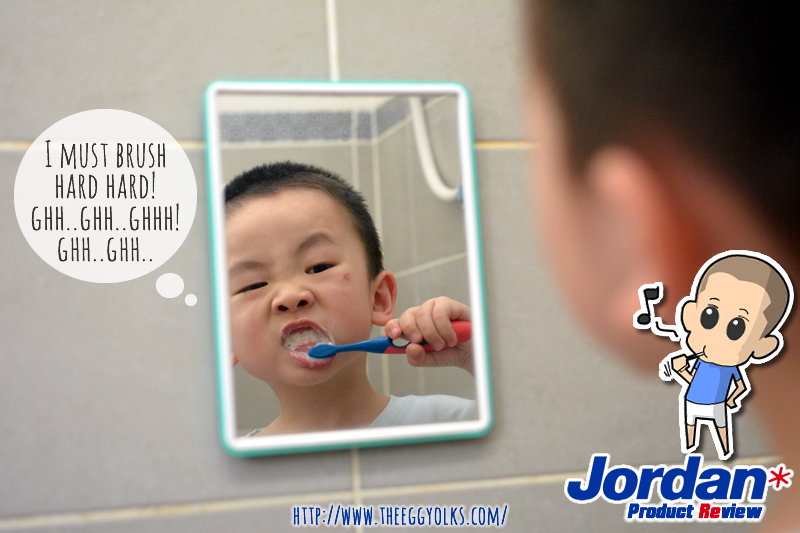 As for little yolkie, getting him to brush his teeth is the hardest!! We tried giving him some tasty toothpaste and he seems to start brushing his teeth, but the trick doesn't last long enough. Before he got bored with the toothpaste, we need to come up with a new trick. 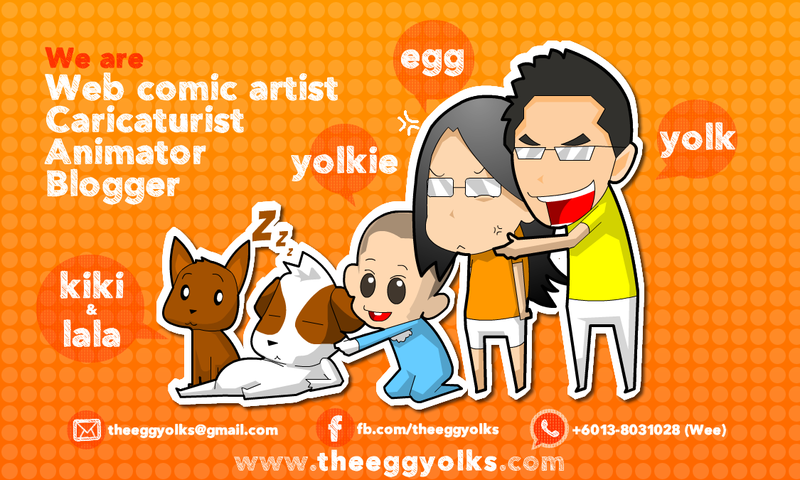 Then both of us (Egg and I) were like *ding*, "Why don't we give him a new toothbrush?" 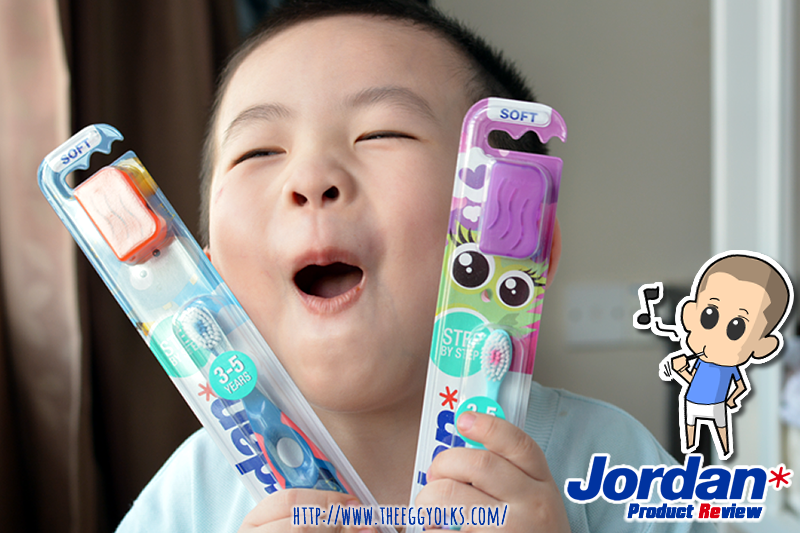 While we were puzzled on which type of toothbrush suits him, Jordan sent us a set of toothbrush for review! 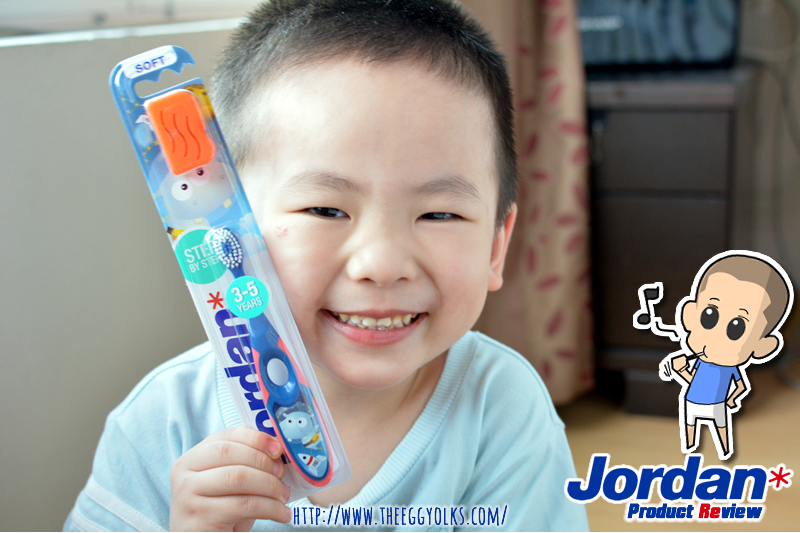 When we received the parcel, little yolkie took out his favourite blue coloured rocket cartooned tooth brush! 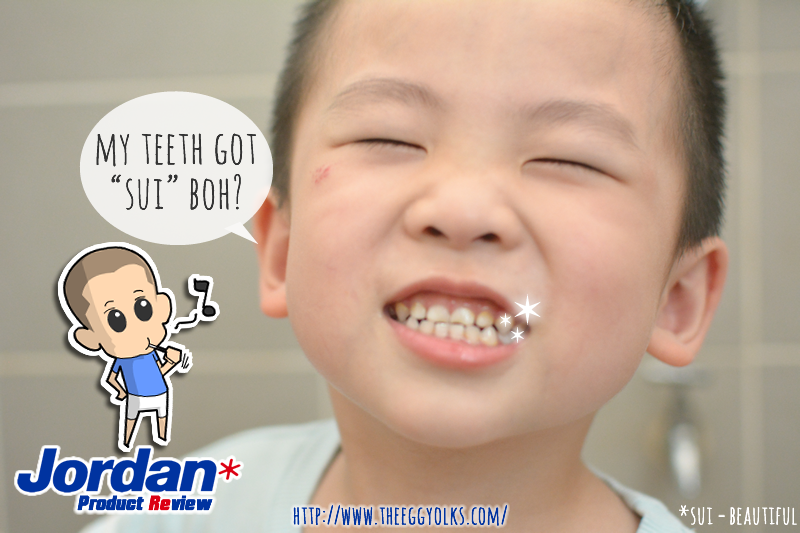 Without hesitation, we asked him if he wanted to try out the tooth brush and he quickly nodded. 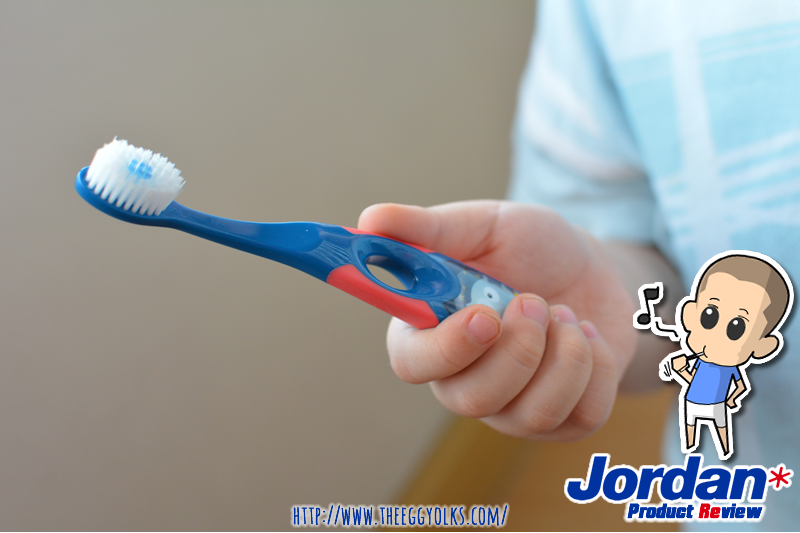 First look of the tooth brush, it has a small but wide head and a dual handle for both parents and kids, which makes brushing easier. Noticed the blue colour bristle in the middle of the brush? 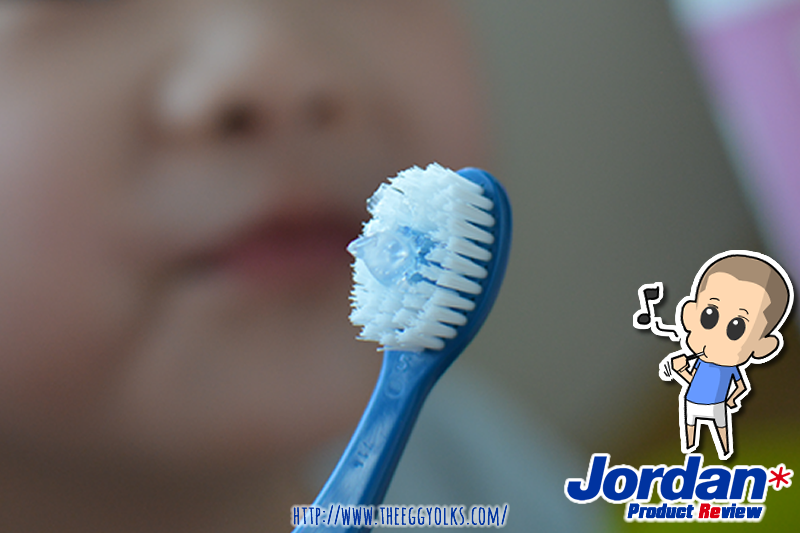 It was designed that way so that parent knows how much toothpaste is needed for the brushing session. Brilliant isn't it? 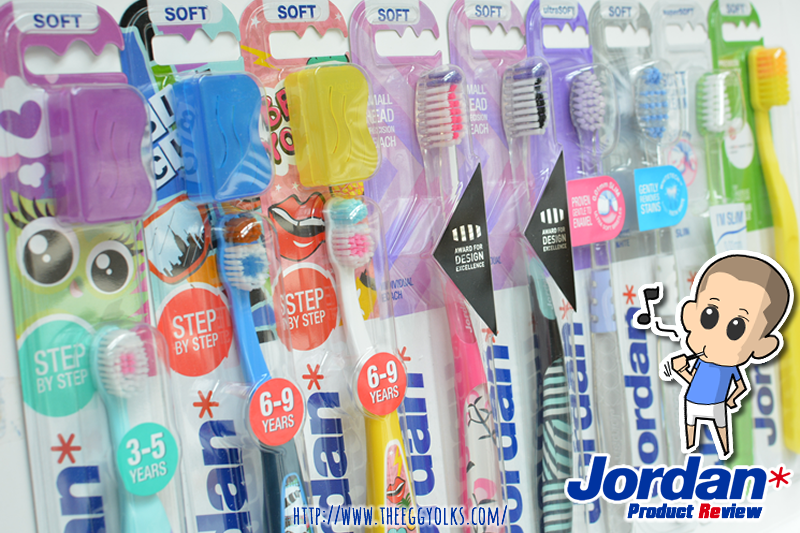 The Jordan step 2 tooth brush comes with soft bristle suitable for young kids especially clumsy kid like little yolkie. He always brushes his teeth so hard that his gum starts to bleed. These soft bristle suits him perfectly! Now with his new toothbrush, asking him to brush his teeth no longer a pain in the s!